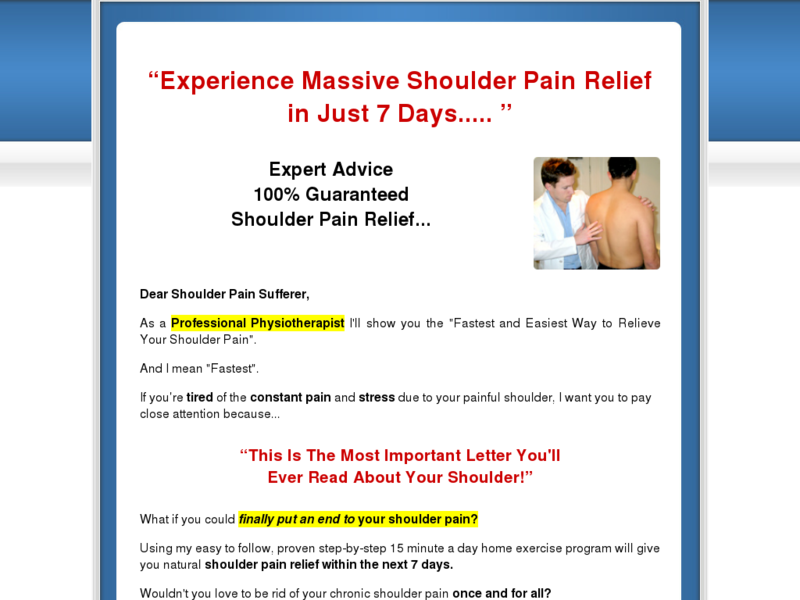 Top Professional Physical Therapist's Best Selling Guide To A Fast, Effective And Easy Shoulder Pain Cure. Shoulder Pain Is A Widespread And Growing Problem. Ideal Product For All Health And Fitness Markets.